Sponsoring is a great way to show you care about animals that have nowhere else to go. It can also be a great gift for animal lovers. We rely heavily on the generosity of the public to help our animals, so by sponsoring for as little as £5 a month means you won’t just be helping your sponsor animal but all their friends too! Whilst we try to find homes for all our animals, if this is not possible, the Sanctuary also cares for some residents for the rest of their lives. 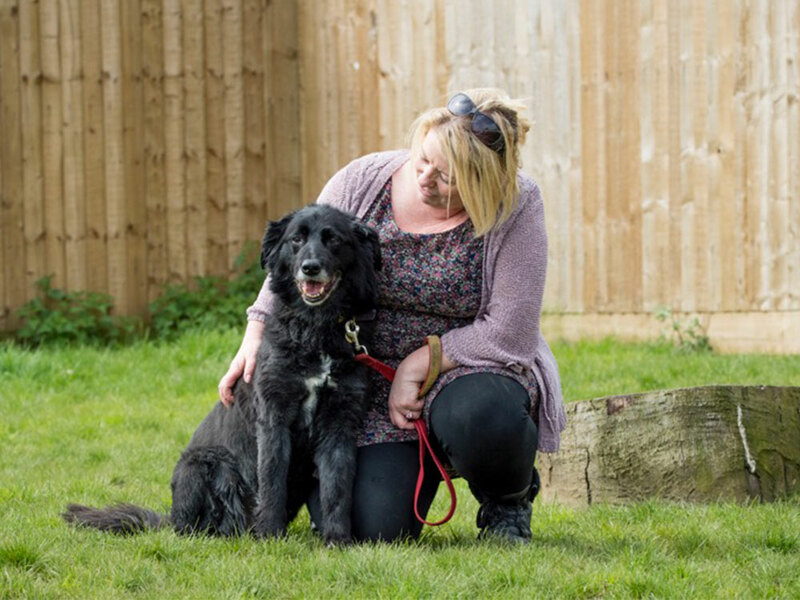 This could be for a number of reasons; they might on life long medication, they are perceived as being too old or past experiences may mean they simply are not suited to a home environment or are unsafe to be rehomed as domestic pets. You will receive a Welcome Pack on sign-up, which includes a certificate, OAS goodies and email updates about your chosen animal. We hope you decide to become a sponsor and a member of the Sanctuary family. You’ll be making lots of animals very happy and will help us to continue saving as many animals as we can. Do something amazing today for Oxfordshire’s abandoned and unwanted animals. Your sponsorship contributions are used to help all the animals in our care. The money is used to cover the costs of running the Sanctuary, which include food, training and veterinary care – all the things they need to be as comfortable as possible during their time here. You will receive a Desk Card showing a photo of your sponsor animal, OAS goodies (e.g. key ring, wristband, car sticker or other items depending on stock availability) and email updates about your chosen animal. Can I visit sponsor animals? Some of our sponsor dogs become very stressed by unfamiliar people and situations. To ensure we limit stressful interactions and maintain a comfortable routine for them, we may not be able to arrange a visit. Please contact the sanctuary by email and we will see if this is possible. We also have limited exercise areas at the Sanctuary and these are prioritised for potential adopters so please email animals@oascharity.org.uk to discuss visits and we will do our best for you. How often will I hear from my sponsor animal? Your sponsor animal will send you email updates at least twice a year; at Christmas and Valentines day. While Direct Debit is the cheapest and easiest way of making your contributions, you can also pay by online by credit card. No. If you are completing the Direct Debit form online, please press the ‘proceed’ button, and we will instruct your bank for you. I am having difficulties setting up my sponsorship. Can you help me? Please contact our sponsor team at sponsorship@oascharity.org.uk and we’ll be happy to help you. I'd like to make a general donation to OAS; how can I do this? Please check out the donation section of our website for information about donating online. Our get involved section of the website also explains all sorts of other ways you can help us. No, our fundraisers are all volunteers, but we do employ an admin team to manage our fundraising projects, including sponsorships.